Leading automaker Hyundai Motor Co., top cosmetics maker AmorePacific Corp. and other major companies will hold their respective shareholder meetings this week, industry sources said Sunday. Hyundai Motor will hold a shareholder gathering Friday, where a proposal to pick Chung Mong-koo, chairman of Hyundai Motor Group, as a board member will be put to a vote. One of the key issues at the meeting is whether the National Pension Service, the country's largest institutional investor, will vote for the proposal or not. 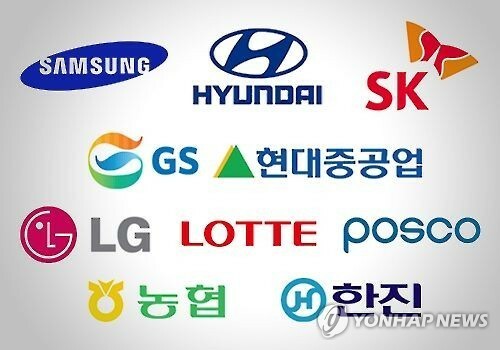 LG Electronics Inc., a major home appliance maker, is also scheduled to hold its shareholder meeting Friday, and Naver, the operator of the country's top Internet portal, will do the same on the day, the sources said. So far, 47 listed firms, including top steelmaker POSCO, have held shareholder meetings. This week, a total of 211 publicly traded firms are set to hold such meetings, the sources said. Samsung Electronics Co., the country's top market cap, and its key affiliates, such as Samsung C&T Corp. and Samsung Life Insurance Co., are scheduled to hold shareholder meetings on March 24. Industry sources said current chiefs of the tech behemoth and its major affiliates are likely to keep their positions.